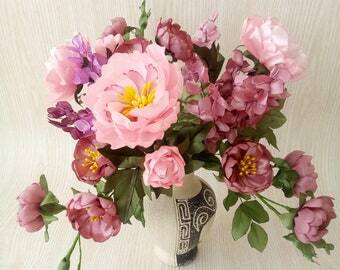 Spring wedding bouquet of rich pink peonies and rosebuds made with love in a single copy. Delicate and light wedding bouquet will make your holiday unforgettable. 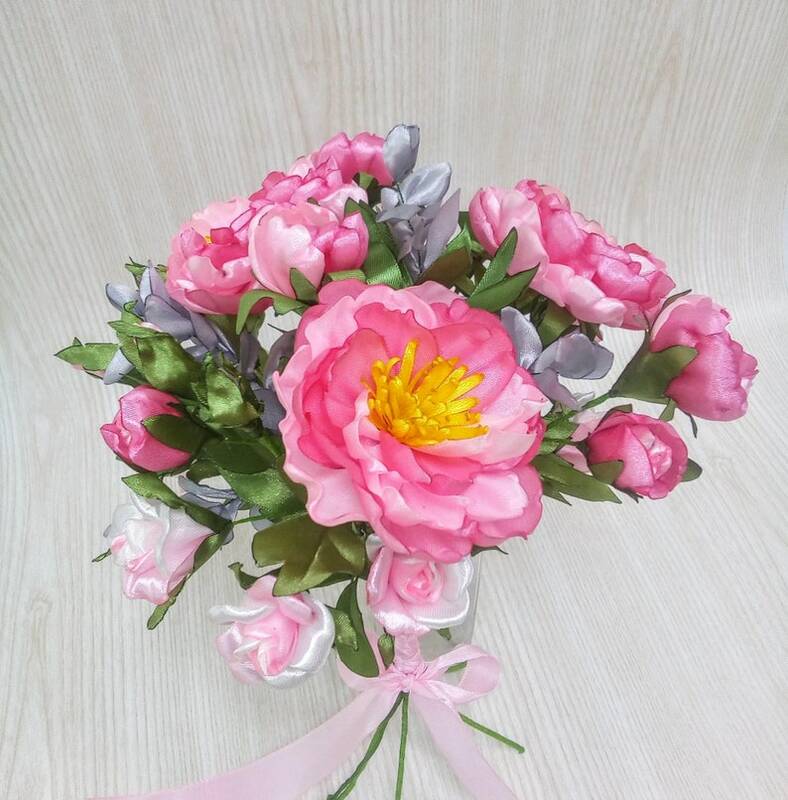 Flowers do not crumple, do not lose color, are not afraid of moisture. The stem and branches easily bend and take the shape you need. Each stalk is supplemented with leaf sprigs on a wire frame, which allows the leaves to be bent in the right direction, and two different buds. Each flower and bud is unique. Exact repetition is impossible. 3 stalks rich pink peonies and decor - twigs with small roses.